Happy Easter! The Trendy Twine design team made some wonderful Easter projects to share with you today. I made a bunny in a basket card. It went together pretty quickly. I used Strawberry Cupcake and some Totally Limeade Trendy Twine on my card. 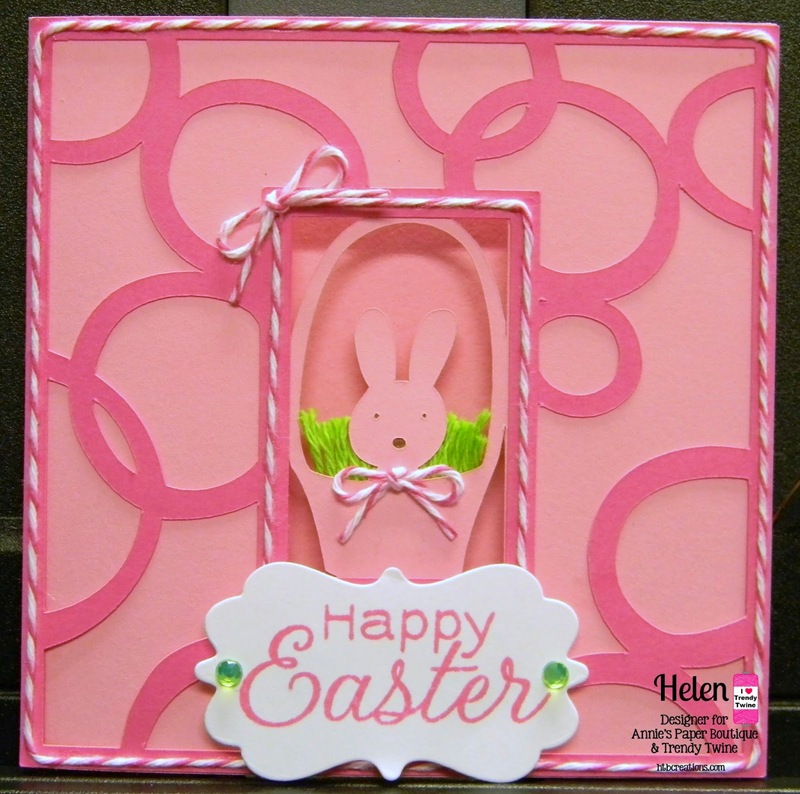 The card came from the Cricut Stretch Your Imagination cartridge and I used the Curly Label die from My Creative Time. Please stop by Twine It Up! 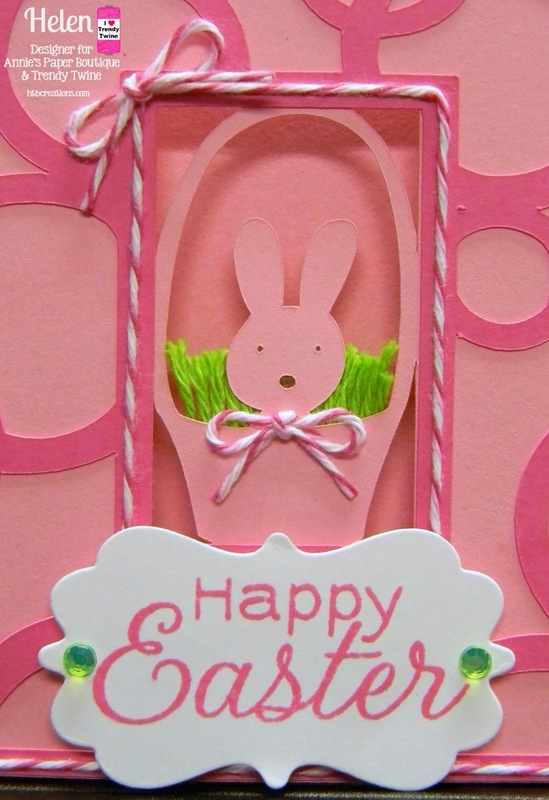 with Trendy Twine to see all the fabulous Easter projects the design team made.